UBM is now the world's biggest business-to-business event organisers since UBM has combined with the Informa Group in June 2018. The combination of UBM and Informa brings over 500 exhibitions brands, over 800 confex/conference brands, over 200 data, content and intelligence brands, and 11,000 colleagues working in over 30 countries locations into a single, leading and international Business-to-Business Information Services Group. UBM Japan is the Japan branch of the global network and the global footprint allows us to help businesses to trade both domestically and internationally. 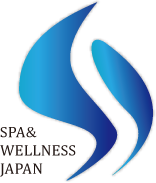 The activities in Japan encompass trade shows, publishing, conferences and seminars and on-line media. We are engaged in a wide range of sectors including health, beauty, foods, pharmaceuticals, medical devices, jewellery, maritime, fashion, licensing, and information technology, etc. UBM Japan’s strength lies in providing market access for international companies seeking to enter the Japanese market, as well as assisting Japanese companies to expand into overseas markets. UBM Japan Holdings Co Ltd, UBM Japan Co Ltd, and UBM Media Co Ltd will be merged and named it UBM Japan Co Ltd on 1 January 2018. Not only in the industries mentioned above but in many others, UBM organises over 500 B2B events all over the world. UBM creates international platforms for professionals in different industries for their business communication. Weekly newspaper covering the latest news on the health products industry, such as the activities of manufacturers and retailers as well as trends and legislation. Distributed by fax twice a week. It provides timely information on the health industry including both domestic and overseas markets. Monthly magazine which introduces the latest trends in food technology, ingredients and food processing equipment. A high-profile magazine for the health and beauty industry, featuring market trends, business updates and new product information. Copyright © 2019 UBM Asia Ltd. All Rights Reserved.